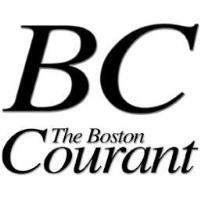 The Boston Courant has ceased publication after losing a wrongful termination lawsuit brought by a former employee. Owner and publisher David Jacobs created the newspaper with his wife Genevieve Tracy in 1995. The Courant produced a weekly newspaper published for the residents of the Back Bay, Beacon Hill, Fenway and South End sections of Boston. Editorial content highlighted local news, politics, real estate and events.